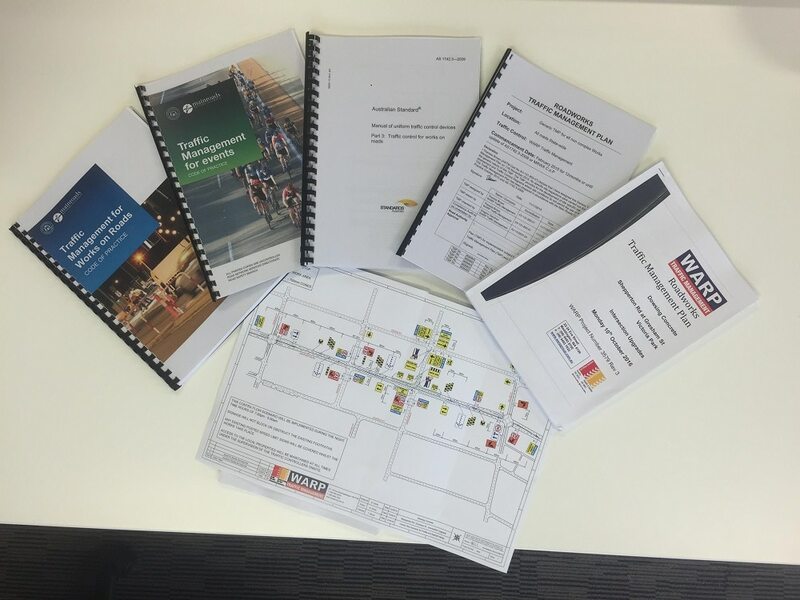 The Advanced Worksite Traffic Management (AWTM) refresher course is designed to keep you up to date with our ever-changing industry. This course provides participants with an update of any changes in the industry over the last 3 years including changes to the MRWA Code of Practice. This is a suitable course for people who currently hold an AWTM accreditation that is due to expire or someone who has an expired AWTM accreditation that expired no longer that 3 months before the commencement of the course. This course has been designed to be very hands on and practical oriented in so that you can gain additional skills and knowledge with the understanding of how to apply this all in the real world. Main Roads WA accreditation is valid for 3 years. Warp Training Australia conducts Advanced Worksite Traffic Management Refresher courses once a month. Extra courses may be scheduled due to demand. WTA also cater to companies or groups wanting to conduct a private training course, either at your suitable training venue or at our training premises. Students are asked to arrive at least 15 minutes prior to the scheduled course start time, late attendees may be rejected from the course. The Construction Training Fund (CTF) provides a subsidy of $248.00 for eligible students – making the course cost to be $302.00. The Construction Training Fund provides funding support for training of eligible workers in the construction industry. We acknowledge the support of the Construction Training Fund in reducing the costs of the training for eligible workers. A copy of a detailed TMP in accordance with MRWA template document or equivalent that has been implemented on an event or worksite, which you have created, within the last 12 months. This plan must include multiple TCD’s and speed reductions. A copy of an onsite inspection of a roadwork or event traffic management site you have completed. Tea, Coffee and morning tea will be provided. There will be a fridge available to keep your lunch cold and a microwave to heat it up. There are also multiple fast food stores close to the premises. To secure your spot in this course, you are required to enrol online, download and fill out our pre-enrolment evidence form (Click here to to fill out form) and complete payment for the course. Once this is received, your spot in the course will be confirmed and you will receive a booking confirmation.